First things First. You need to sign up, we would LOVE to welcome you into the LumiBox community. At checkout you will select which subscription option you prefer (1 month, 3 month or 1 year). Your subscription will automatically renew after your term is up. For example, if you sign up for a year, you get charged when you check out and your subscription will automatically renew the following year. We find this really helps make sure you won’t miss out on a box! We send out a box of new products and a new 30 day devotional at the beginning of every month. Each box is filled with curated catholic products mostly from small catholic companies, including a a custom print every month and a fresh devotional with scriptures, quotes and meditations to guide and enrich your daily prayer life. Also we will have interviews with the people behind our hand selected products and an update from the non-profit organization we are supporting with percentage of LumiBox sales. 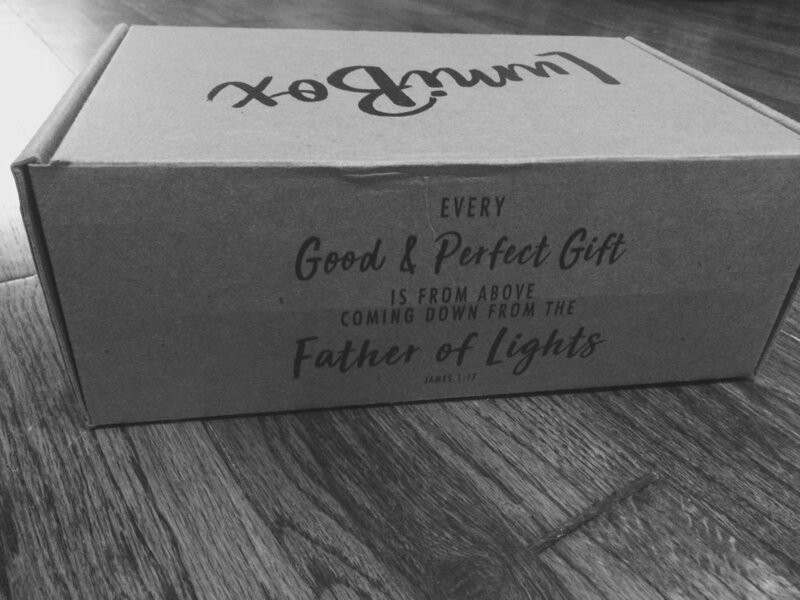 We ship all of our boxes together at the beginning of every month, there is strength in numbers so unleash the horses and the sword of the spirit, there’s no stopping this box from hitting your front porch, doorstep or igloo(I hope you’re warm in there). What if I don’t like what’s in my box?